This race card on frozen ponds. 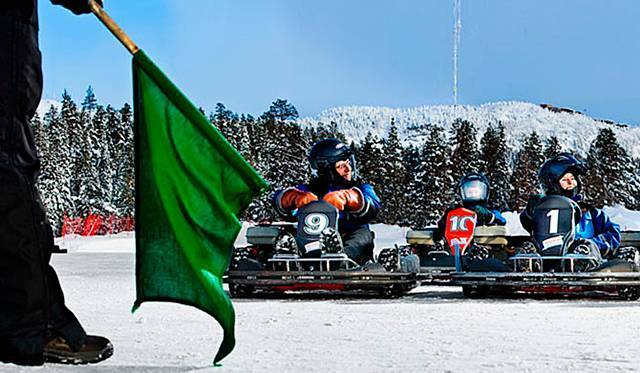 This sport can engage anyone, even a child. The main thing that the ice was strong enough. 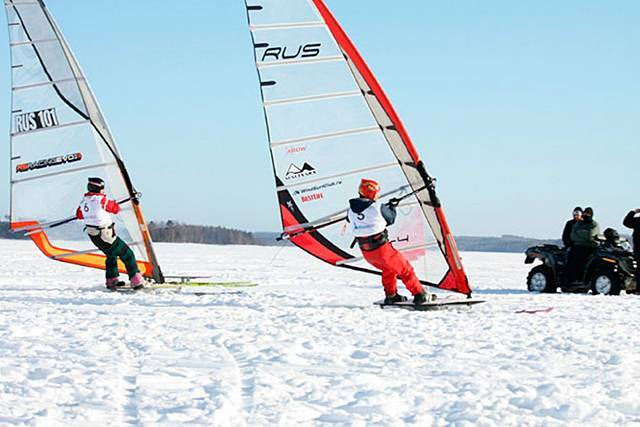 Competition ayskartingu held in Lapland. 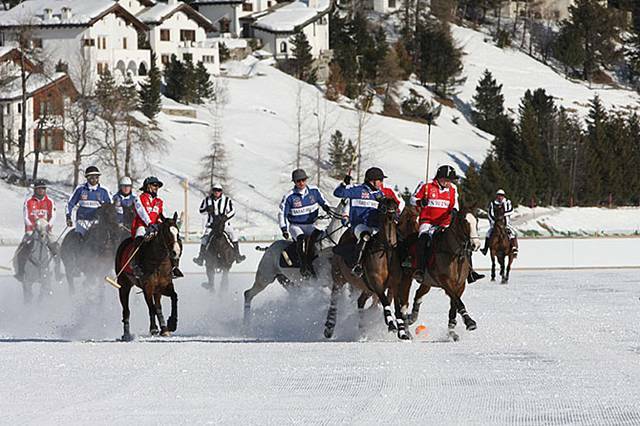 Until recently, the winter polo was more show than sport. 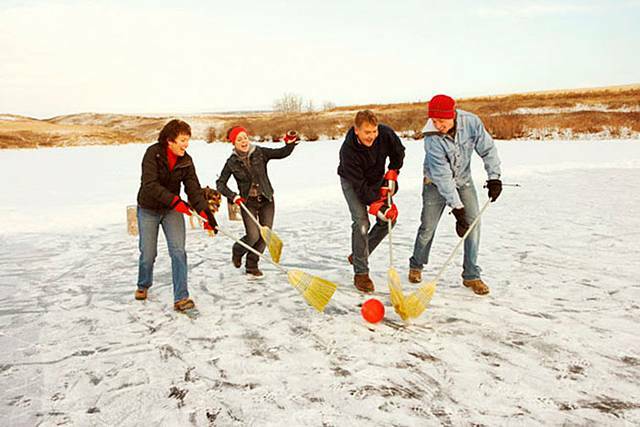 Today, however, this royal sport is developing in many countries where it snows, including in Russia. Moreover, the funds raised from the event are directed to the development of children's sports sections. Kitesurfing can be a winter sport. For this you need a snow kite (kite) and board. Well, the wind, of course, must also be such that the kite took off. What if all the players put on shoes in the shoes and hand them a broom instead of sticks? As such, they can clean the streets or play brumbol - a strange kind of hockey. FIFA World brumbolu held in Canada, but this game is popular in other parts of the world. Who said that with the onset of cold weather should drive your bike until the spring? 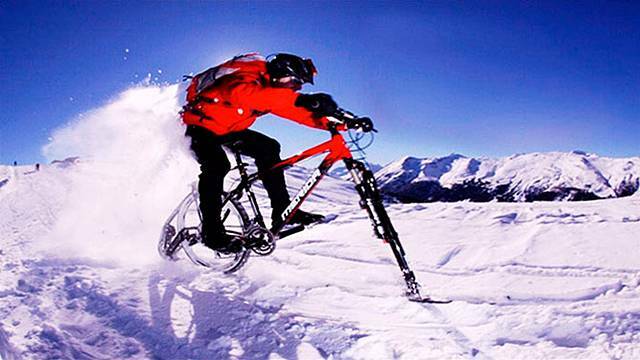 If your bike to ski, then this is the most convenient way for sports walks in the fresh cold air. 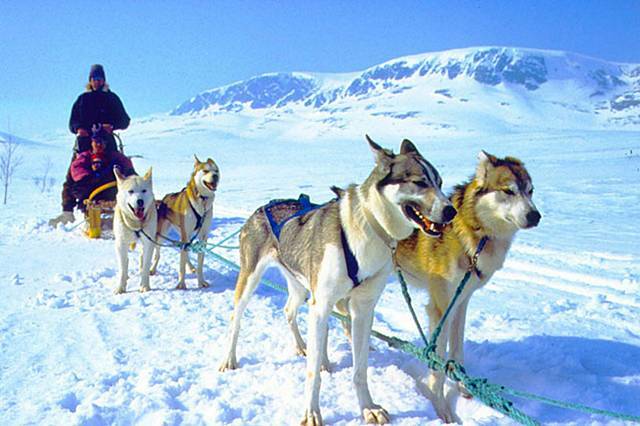 This sport is not new - the Nordic peoples since ancient times have used dogs as draft animals. 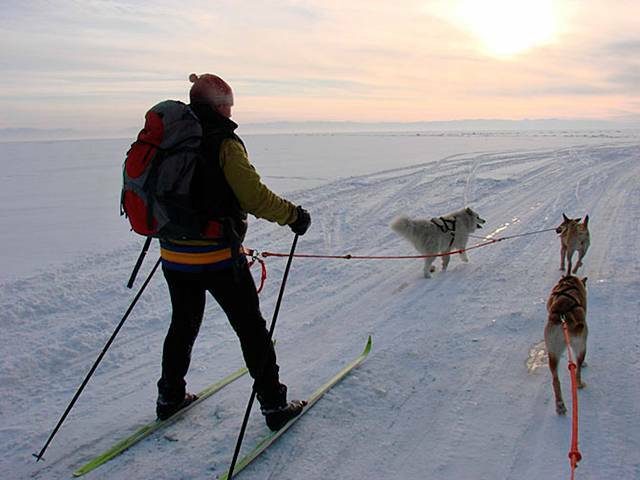 A ride on a dog sled is available wherever there is snow, sleds and trained animals. In Russia there are plenty of places, such as Kamchatka, Chukotka, Baikal, Taimyr, Murmansk region. 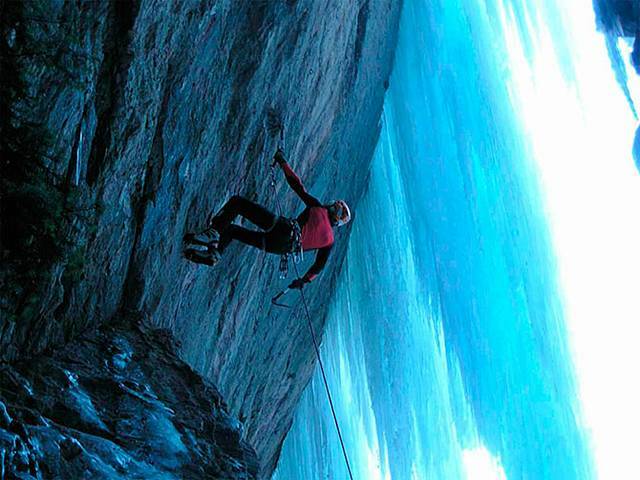 In our opinion - ice climbing. This is the same mountain climbing, but must climb the steep ice cliffs. Feature ice-klayminga - the fragility of the ice. The possibility of failure at times increased compared to traditional rock climbing. Sled attached to them are called ice boat sail. In principle, and the sled - not the usual, but with three steel skates. Riding a better level of the ice surface and, of course, with moderate wind. A sort of water-skiing in winter. 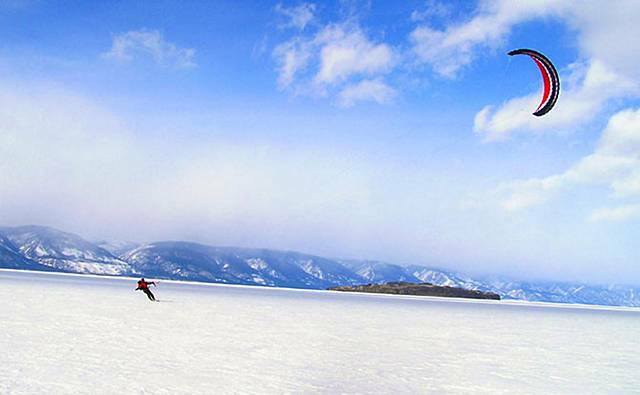 Instead of the reservoir - Snowfield instead boats - horse, well, ski and stay ski. Can steer the horse as a rider, and he skier. Skijoring is a form where instead of horses used dogs and even deer. 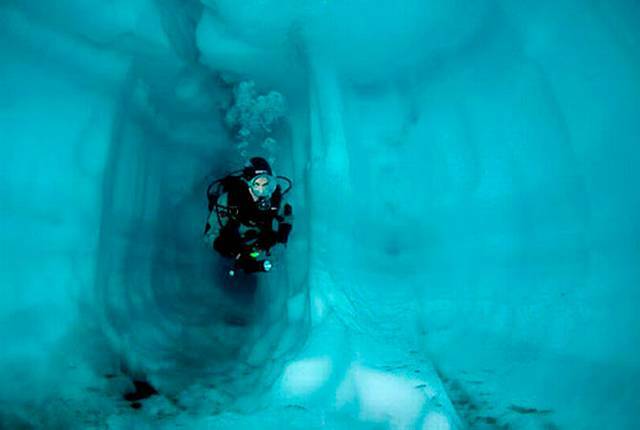 Dive under the ice is necessary with great care and, of course, with good skills diver. In the ice-water world has its own special charm. Cover himself over the head diver - is a work of art from nature itself, and a unique world of ice will impress even the toughest skeptics.